The United States Holocaust Memorial Museum’s declaration that Islamic State (ISIS/Daesh) has committed genocide against the Yazidi minority in Iraq has been welcomed by the head of a charity working with thousands of Internally Displaced People in the north of the country. 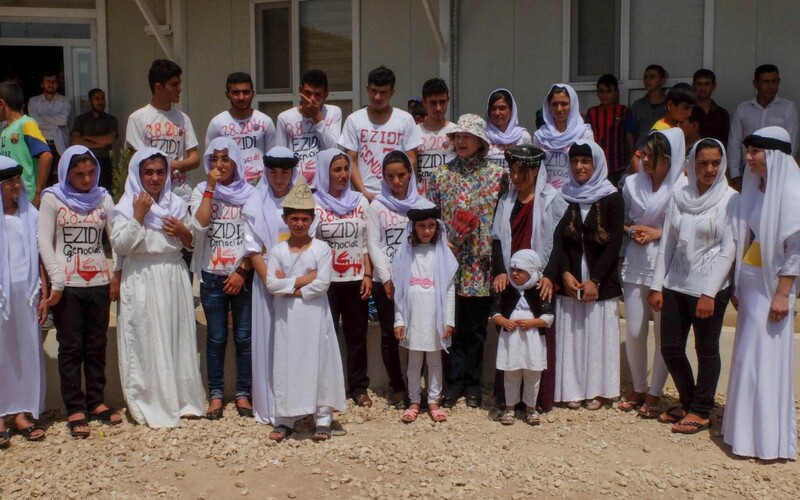 Baroness Nicholson of Winterbourne, President of AMAR US and Chairman of the AMAR International Charitable Foundation, agreed that it was now “beyond doubt” that genocide had been waged on the Yazidis and other minority religions and she has called on the International Criminal Court (ICC) to begin an immediate investigation. “All those who have seen the situation on the ground for themselves and have talked to these poor people about their terrible experiences know that this has been the very definition of genocide – the deliberate and systematic extermination of a national, racial, or cultural group,” said the Baroness today. Baroness Nicholson said the evidence against Islamic State was overwhelming.